Our highly trained NETA Certified team of technicians will perform these tests as a fully independent third party in order to offer unbiased results to ensure that the electrical equipment is properly installed and working correctly. In addition to the testing, a fully detailed report will be prepared with all findings and recommendations. Make an appointment today, fill out your details below and we will contact you promptly. 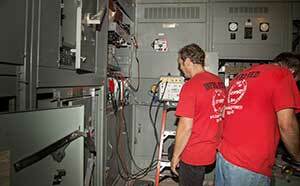 Stay up-to-date about our latest technologies and services to keep your equipment running flawless.